Victor Reinz Black Diamond Coated Head Gaskets for the Ford 6.0L Diesel Powerstroke are the perfect head gasket for your vehicle. Choose the exact model you need below (18mm dowels vs 20mm dowels). 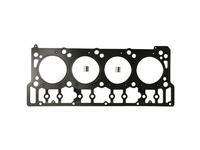 This gasket set is often paired with the ARP 250-4202 Diesel Head Studs. Buy both and save money using our pre-built kits.